“Compound Fracture” are supporting the Foundation’s efforts in Detroit to get equipment to the Fire Department there. $5 from each VIP ticket purchased to the dates in Detroit will be donated to the Lucey Fund project for the Detroit Fire Department. You can purchase tickets by going to this link, see a fun film and support firefighters!! 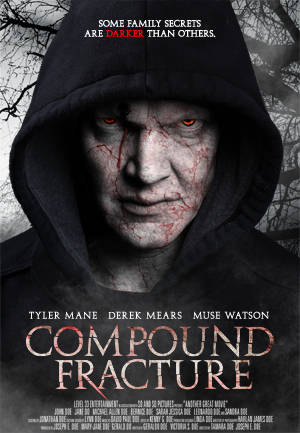 Compound Fracture is an atmospheric supernatural thriller starring Tyler Mane (Halloween, X-Men, Troy), Derek Mears (Friday the 13th, Predators), and Muse Watson (NCIS, I Know What You Did Last Summer). Michael Wolffsen (Mane) returns to his estranged family home to find his father slipping into a paranoia-filled dementia. However, as strange things begin to occur around the house, Michael soon realizes his father’s paranoia my be justified.